This text is the industry standard for publishing the most recent and relevant articles in the field. It demonstrates to students how the concepts and theories of deviance can be applied to the world around them. The authors include both theoretical analyses and ethnographic illustrations of how deviance is socially constructed, organized, and managed. The Adlers challenge the reader to see the diversity and pervasiveness of deviance in society by covering a wide variety of deviant acts represented throughout the text. Most importantly, the Adlers present deviance as a component of society and examine the construction of deviance in terms of differential social power, whereby some members of society have the power to define other whole groups as "deviant." 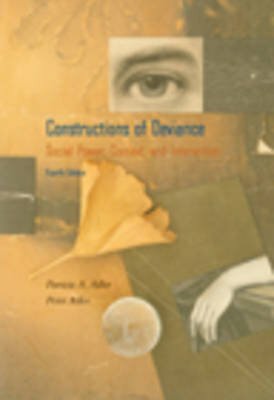 The book takes an "interactionist" or "constructionist" perspective on deviance, looking at the processes in society that create deviance. The authors have selected studies that are ethnographic in character, focusing on the experiences of deviants, the deviant-making process, and the ways in which people who are labeled as deviant in society react to that label.